For Limited companies and business partnerships, setting up a business bank account is required before they can trade. Charities and non-profits have their own requirements for operating in the UK – key information on what various business types require can be found on the gov.uk website. These requirements vary from country to country (England and Scotland, for example, have different requirements) so if you plan to register a business in the UK, make sure you are aware of the regulations about the specific country you intend to trade in. If you are a sole trader, you can continue to use your personal bank account for your business needs. However, many traders still opt for a business bank account. This simplifies the admin side of things and doesn’t require you to separate your business dealings from your personal ones. 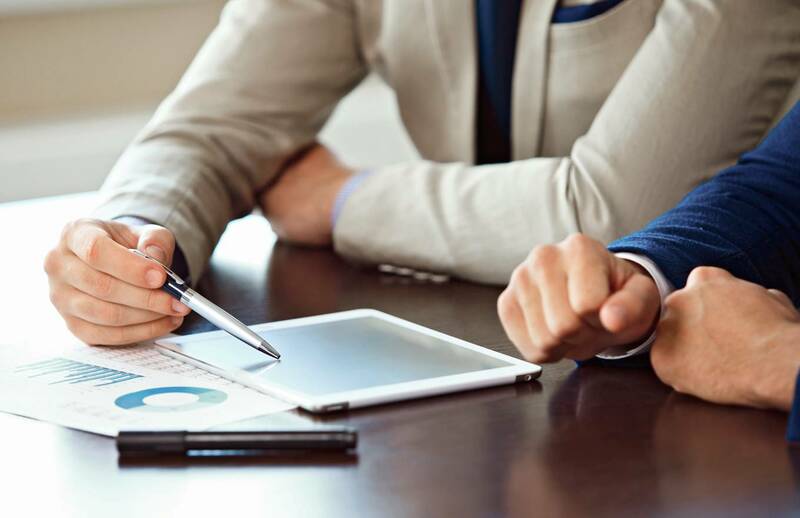 Some banks offer exclusive access to small business advisors for individuals who hold a business bank account with them, making them a sensible option for sole traders. Business bank accounts are offered by most high street banks. For your own convenience, you can open a business bank account with your current bank, but this is by no means necessary, and you may even save money by looking elsewhere. If you wish to set up a business bank account, UK residents with a clean credit rating are in the best position to be accepted by providers, but being a native resident of the UK isn’t required. If you have a locally-based representative of your business i.e. one half of your partnership, then your application for a UK business bank account, even by a non-native can still be accepted. International residents may face greater amounts of admin due to any bank’s increased wariness of fraud. While you cannot open a business bank account online, your initial application can be made on your selected bank’s website. Most banks will require a meeting in person before granting you access to a business account. You will be required to provide the documents listed above, and may be asked further details about your business. Business bank accounts come with a fee and this varies depending on what services you require. Types of payments in and out of the account incur different costs, with cheques and credit payments often being charged at a higher rate than their electronic or cash counterparts. Special introductory rates are also common, such as offering what appears to be a free business bank account. UK high street banks favour this approach in particular, with many offering 12 months free banking for new accounts. A glance at the small print will show that this may not be applicable to your business based on turnover or other similar details, so make sure to study the terms and conditions carefully. When it comes to finding the best bank for business accounts, UK high street banks are the most commonly used providers, but they vary in their fees and offerings. Some banks will also charge differently for those who switch bank account compared to those who are opening a new bank account with them. Below is a summary of what you can expect from the biggest names on the high street, helping you pick the best business bank for your needs. Offers listed below current as of 6 June 2017 and are subject to change. Please visit individual bank websites for up-to-date pricing. Barclays offer two types of plans, ‘Mixed Payments’ (charged at £6.00 a month) which offers the best balance for companies accepting both electronic and paper payments, and ‘E-Payments’ (£6.50/month) for those mostly working with digital payments. Both enjoy 12 months of free banking. Barclays also offer a Loyalty Reward, where more bank charges are returned to you the longer you bank with them. Lloyds offer 18 months of free day-to-day business banking, and have a monthly fee of £6.50. Electronic payments in or out are free and cheques and credit are charged at £0.65. Fees on cash depends on the amount being handled, anything under £1500 per month will be charged at £1 per £100 and anything over £1500 will be charged at £0.80. HSBC charges £5.50 per month for their business accounts after their free banking period of 18 months. After this period, cheques are charged at £0.68, cash in at 0.60% of the deposit, and debit cards at £0.25. Offering 2 years’ free business banking and 12 months’ fee-free use of a dedicated business credit card, Royal Bank of Scotland completes the ‘Big Four’ UK high street banks. Cash payments are charged at £0.70 per £100, and cheques at £0.15. There are business bank accounts alternatives beyond major banks. The Cashplus Business Account and CardoneBanking Small Business Account are entirely online and though limited in their offerings compared to high street banks, may be the more convenient choice. If your business has an ethical slant then Triodos Bank has business account offerings you may be interested in. With customers including River Cottage, Triodos aims to help businesses that are making a positive difference to society socially, culturally or environmentally. Once you have your business bank account, it’s simple to link it to your Square account and begin receiving funds within 1-2 business days. Prepaid card accounts such as Paypal or Cashplus aren’t supported by Square. Square will verify your account and complete the process, this can take up to 7 business days. Following your account being verified by Square, you can have payments deposited straight to your account. Square’s deposit schedule has payments deposited by 16:00 the following business day. Transactions made from Friday – Sunday will be deposited the following Monday.